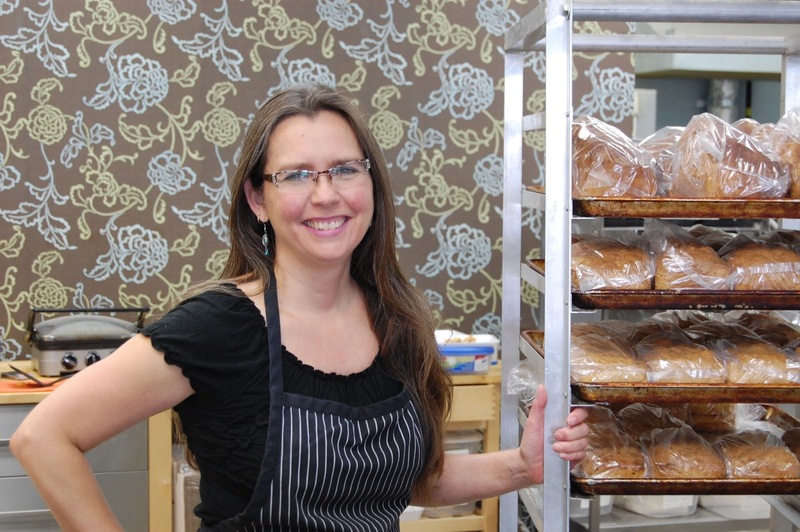 The Joy of Gluten Free Bakery is located at 250 Greenbank Rd in Ottawa (in the Mall near Huntclub Rd, beside M&M Meat). 10 years of intensive recipe development and a love of cooking inspired the creation of the store. Hours: Tues-Sat 10-6pm, Sun 11-4pm. Call us at 613-907-1252. Email Us: thejoyofglutenfree@gmail.com. Visit our website: www.thejoyofglutenfree.com. Like us on Facebook. Thank you to all who visit us and to all who continue to inspire us. Pre-Orders for Christmas & our Holiday Hours! We will be taking orders for those items as well as our 80 other items we have in stock every day ( Our entire menu is on Facebook www.facebook.com/thejoyofglutenfree and on our website www.thejoyofglutenfree.com. We are encouraging pre-orders to avoid having long line ups out the door and to be sure you get what you want and need for Christmas. Please come into the store or send an email transfer to us by Monday December 16th at 4pm. Orders will be available for pick up between 3pm and 6pm Tuesday to Saturday and between 2pm and 4pm Sunday and Monday. You can email us with the items you would like to order at thejoyofglutenfree@gmail.com. The holidays are upons us and we're busier than ever at the bakery. Pre-order your holiday goodies or pickup now and freeze for use later. Gift certificates are available. Our elegant light fruitcake is on the shelves and gets better with age. $15/pound - $17/for the version with VSOP brandy (it's 60% fruit and almonds). Tourtiere pies are $19.00 All squares are $3.50 each. stuffing $7.00/half pound. $15/pound. We are making apple/cranberry streudel pies, mincemeat is coming, sugar pie is coming. We always have shortbread - the butter version will come for the holidays. Order a box of squares for Christmas dinner - marzipan, almond butter, nanaimo, apple crisp, carrot cake, chewy chunks, white chocolate cranberry blondies, date squares, guilt free brownies, caramel slice. We also have our Australian Meat Pie and a Chicken Vegetable Curry pie. Cookies are always a great choice as well. To pre-order you must pre-pay....this is available in-store or on-line via email transfer through your web-banking. 613-907-1252 thejoyofglutenfree@gmail.com Please come into the store for the best service. Happy Holidays to you and your family from Susan, Bianca, Isabella and the staff at The Joy of Gluten Free. We will be closed Monday's until the new year. We are closed Dec 24/5/6 and Dec 31/Jan1/2 to share time with our families. Thank you for helping us push the limits to what Gluten-free can really be and how wonderful things can taste! We make over 75 products fresh from scratch in our store at this time. Feb. 18th, 2012 I opened Ottawa's first 100% dedicated stand-alone Gluten-Free bakery and gourmet food shop. After 7 years of recipe development and 5 years as a teaching chef; I taught hundreds of cooking classes to hundreds of people. The bakery currently produces about 60 of the 300+ recipes I developed during that time. The bakery is dedicated to fine quality production of bread, cakes, cookies, desserts, lunches and dinner menus and offers a selection of tast-approved food items. We use 22 different flours in our baking and strive to have the highest quality and best nutrionally sound g/f products available on the market today. Our customers come from across Canada and the US to visit our Ottawa location. We welcome commercial inquiries from companies who wish to partner with us. Our plan is to make our products available everywhere. Cooking classes are not offered at this time. Shared this one. Ate 5 before it. Felt like I had waited my whole life for that moment. Do you know what I mean? The new recipe - exactly like the old one that had wheat - no wheat - And we are done here. Exactly what happened to the raisins??? My sister Lesley (chef at the Hunt Club in London ON) says granny smith are best. I agree! And that is what I had for lunch. I was just so happy. Fast and not to be missed. A feast fit for a King. No a Godess. swear they are the best you have ever eaten. I know. I know. I know. But you know what - it is the only meal that every time will bring my 20 year old home for supper. It is really really good. Mexican Lasagna - leftovers stolen from the fridge by my 20 year old who is not Celiac. Learn how to get an amazing cream sauce at class. It really is this fun. Each and every time an inspiration and over 200 classes taught. Please note that cooking classes are not offered at this time. The bakery is just too busy. Welcome to our bakery blog. Until December 2011 this was the blog for gluten-free cooking classes. As of Feb. 2012 this is the blog for my gluten-free bakery. I no longer offer cooking classes. This is still my personal account and not the official website. The official website for the bakery is www.thejoyofglutenfree.com - it is under construction. If you don't like fruit cake - this is the cake for you. It is fabulous. Just like in Ecuador. No, actually better. yummy!! My version. A class favourite! Tracy showing off one of our 4 successes that day. So yum yum.